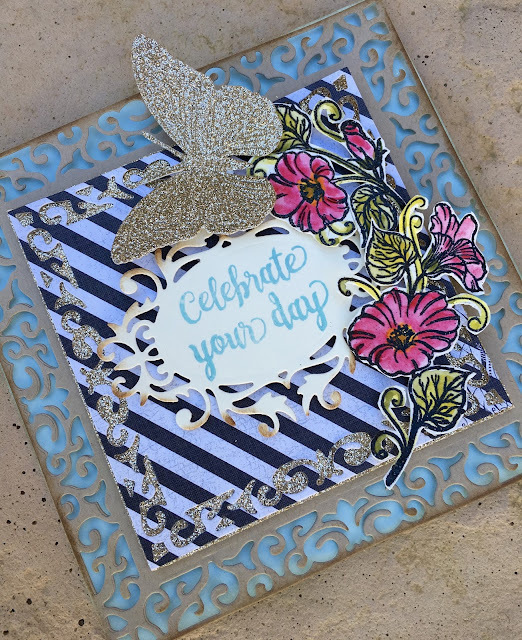 Hi there, I am here today sharing a pretty card using one of the really gorgeous stacker frame dies called Historic Barcelona Square Boutique Stackers Frame. Pair that up with some pretty papers and stamps by Justrite Papercraft and your card is practically made by itself! Well not really, but you know what I mean. To create this card I started out cutting a 5.5" card base using a light blue card stock, than I cut my largest Historic Barcelona Square Boutique Stackers Frame out of craft card stock. Than I cut a smaller one out of patterned paper, which I backed up using gold glitter card stock to show through the intricate design. Next I die cut a Mirror die out of cream card stock and stamped my sentiment on it using light blue ink. 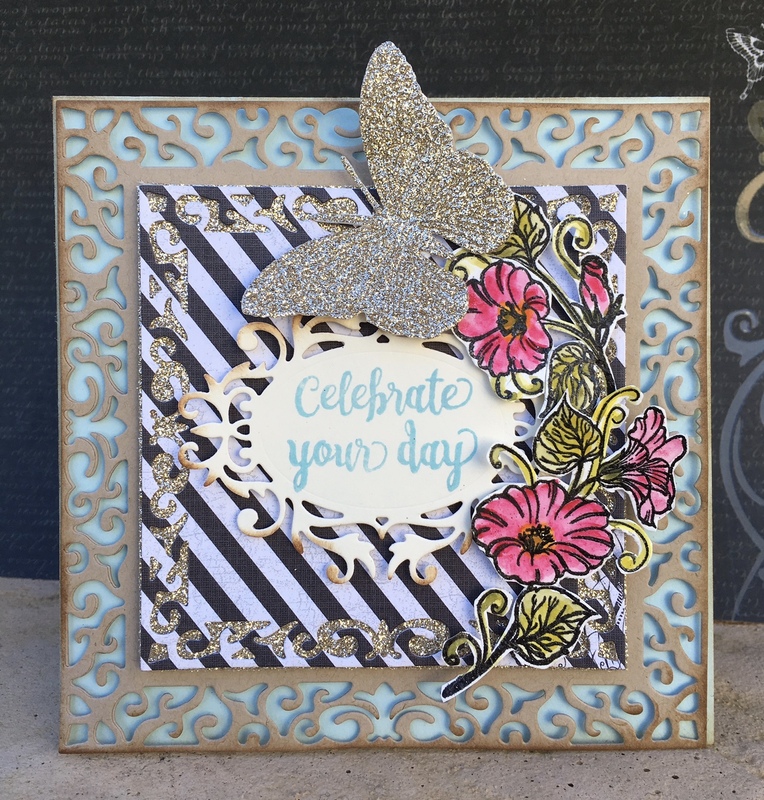 For this card I used the gorgeous brand new Justrite Papercraft Morning Splendor Clear Stamps. I stamped and colored my flowers and cut them out to fit around the frame and finally die cut a pretty butterfly from the Small Exotic Butterflies #1 with Angel Wings using gold glitter card stock and added it to my card. Hope you like this pretty card! Thanks for stopping by and hope to see you play along in this week's challenge!